The Phillies have 99 problems but 100 losses ain’t one. Sorry, could not resist. So yeah, the Phillies escaped the dreaded 100 loss season today by the skin of their teeth with a 7-2 win over the Marlins that included many odd and interesting moments. For starters, Roy Halladay made an appearance on Phantavision with his stuffed Chooch pillow to congratulate Carlos Ruiz on being honored for the four no-hitters he has caught for the Phillies. 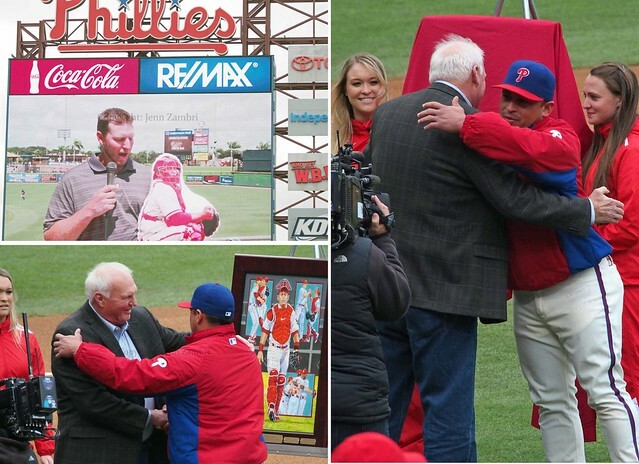 Charlie Manuel joined Chooch on the field to celebrate. 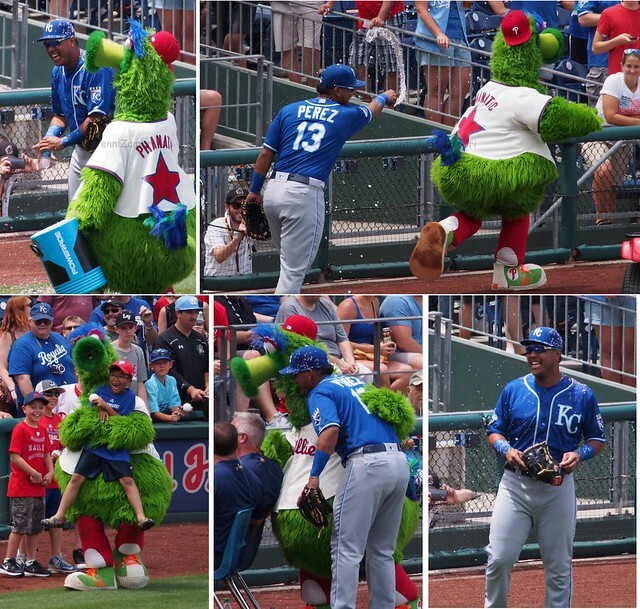 A few not-so-great moments occurred once the game began. For example, Jeff Francour missed what appeared to be a routine fly ball to give the Marlins a lead. And as if so disgusted by his play, a bird apparently committed suicide and had to be carted off the field by Phillies security personnel. 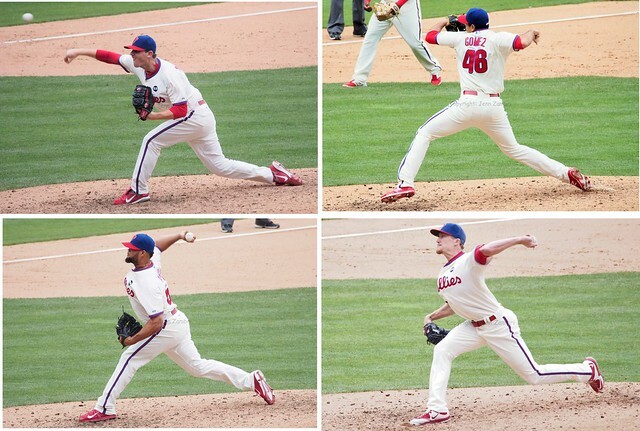 But things began to brighten up when it started looking like David Buchanan might actually get a win. Not only did he pitch well, he also had 2 hits in the game and scored a run. Suddenly, players began smiling and sliding into bases and collecting extra base hits. When you sit through a 99-loss season, seeing this in the last game of the season was somewhat miraculous. But the strangest part of the day had to be seeing future Hall of Famer Ichiro Suzuki make his major league pitching debut in the 8th inning. Apparently, it was a long-time dream of Ichiro’s to pitch so he asked his manager to put him in. It was a treat for the crowd as well. Ichiro gave up 1 run to the Phillies on 2 doubles; he tossed a total of 18 pitches. 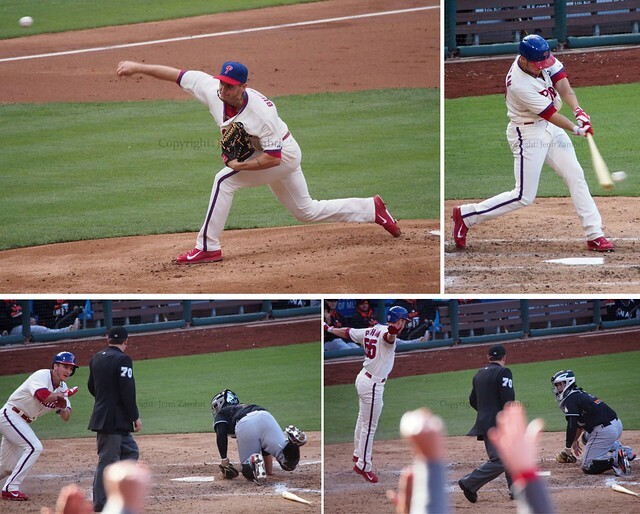 So after a very bad season, the Phillies end on a high note. And they also get the 1st round draft pick as well for being so awful. Bonus. Here is the Photo Album from the game. Also, here is another album for anyone who is interested; I took a tour of Petco Park in San Diego last month. There was a charity event that day so the field was littered with stationary bikes, but the view is still cool. 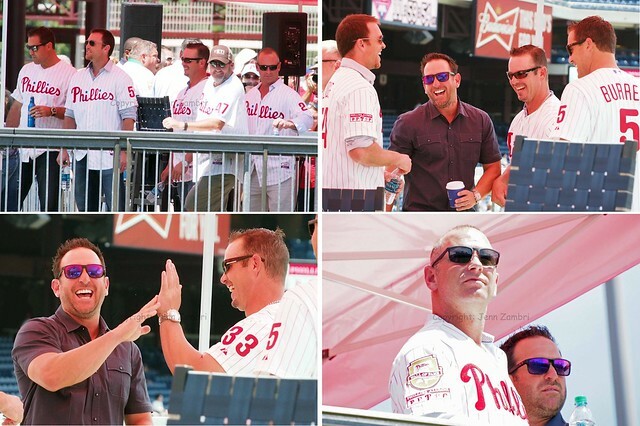 I also took some video today of Halladay’s speech, Cody Asche addressing the crowd and a few other things. I hope to have that uploaded in the next week or so. Goodnight for now! 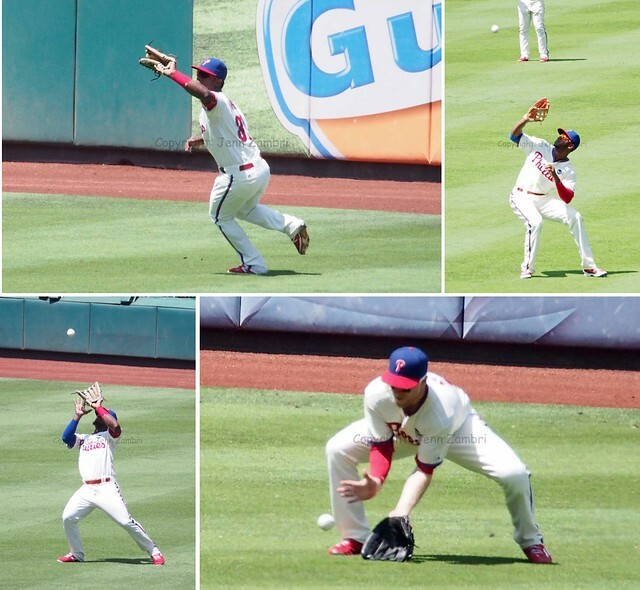 The first game of Sunday’s doubleheader against the Nationals featured a team that could not string together hits and guys who looked like little leaguers on the field, dropping balls and missing bases. The second game showcased a group of young players having a good time playing baseball and smacking the ball all over the field. It is too bad that most of the crowd left after the first game; they missed a pretty fun offensive explosion. 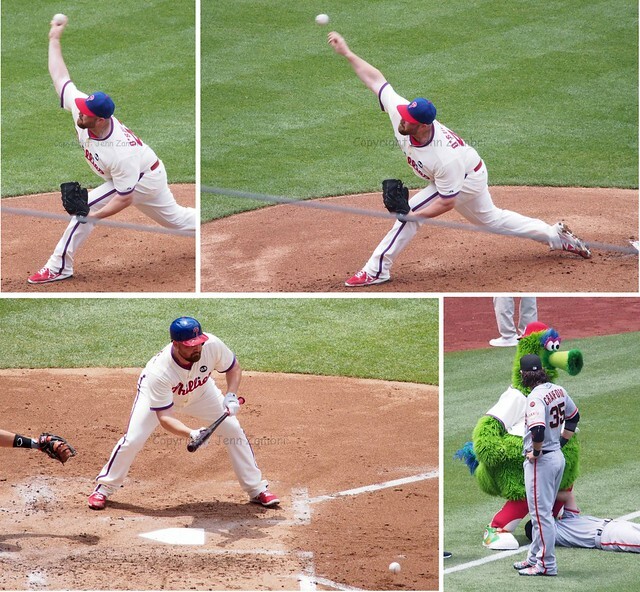 In the first game, pitcher Kevin Correia was the victim of the Phillies sloppy defense. He gave up 3 runs in 5.1 innings, but only 1 of those runs was earned. Two Phillies errors helped the Nats with the other runs. 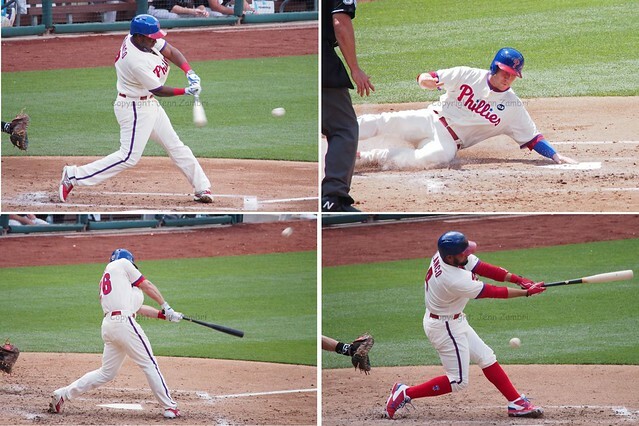 And the offense did little to help; the Phillies had only 5 hits in the game. Both RBI’s were courtesy of Jeff Francour (who also had one of the errors in the game) who homered in the 2nd inning and singled a run home in the 6th. The Phillies could not recover from the 2-3 deficit, even though 4 bullpen players pitched the final 3.2 innings without allowing a run. The second game was a very different story. Rookie pitcher Severino Gonzalez collected both his 3rd major league win and his first major league hit and RBI with a sacrifice in the 2nd and a single in the 4th. He allowed 4 runs over 5.1 innings, which was not super, but still pretty good for a rookie pitching to a good offensive team. 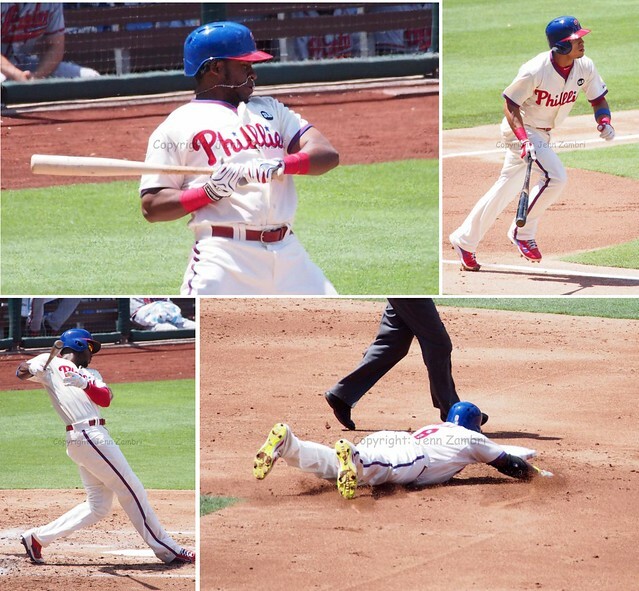 And after only 5 hits in the first game, the Phillies’ bats suddenly came to life. The team scored 4 runs in both the 2nd and 4th innings. 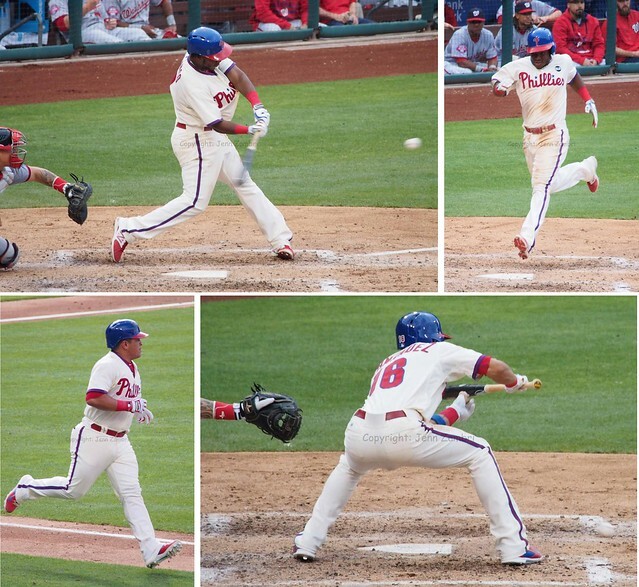 Cesar Hernandez had an amazing game with 4 hits and Maikel Franco collected 3 RBI on 2 hits. 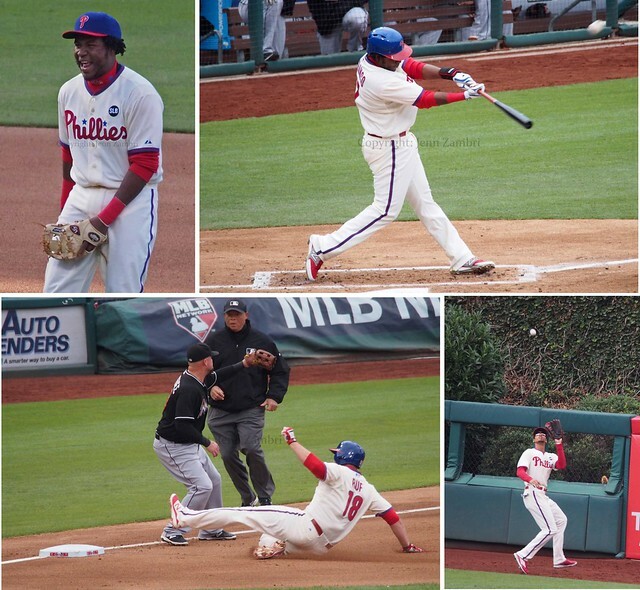 Odubel Hererra had 3 hits and an RBI and both Cody Asche and Domonic Brown had 2 hits each. It was almost as if the anemic crowd made them all less nervous. They were finally able to relax and just swing away. And you could even see the change in their faces. Players smiled and laughed running out to their positions and for once, actually appeared to be having a good time. You have to wonder, was it the crowd, the departure of their manager finally sinking in or just the result of a group of guys playing with other guys they actually feel comfortable with? I know this will cause controversy, but I think it is important to note that 6 of 9 starting players in game 2 were Hispanic (Game 1 had 3). And with many of them being so young, perhaps they are simply more comfortable playing with guys who speak their language, literally and metaphorically? I think this is great, especially for younger players who need to find ways to fit in. And as they get older, they will adapt more easily and expand their friendships. But right now, maybe the camaraderie is helping? I could be wrong; this is just an observation of how players reacted to one another on the field. It was obvious to me that, for whatever reason, they were more relaxed and comfortable in the second game. Of course, maybe interim manager Pete Mackanin said something magical to them in between games? Who knows; anything is possible. 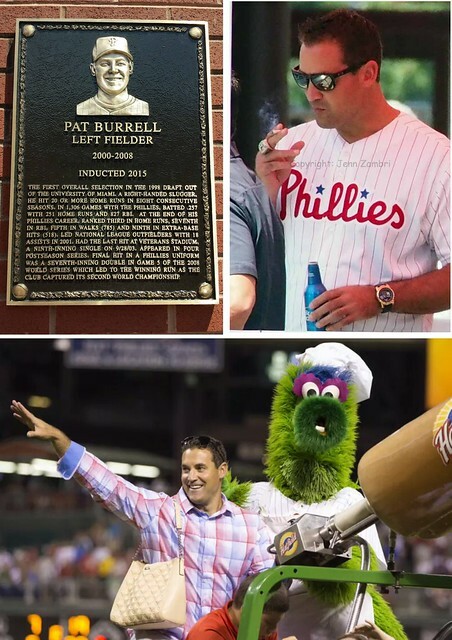 Speaking of the interim manager, I would like to add my comments on Ryne Sandberg’s resignation last week. 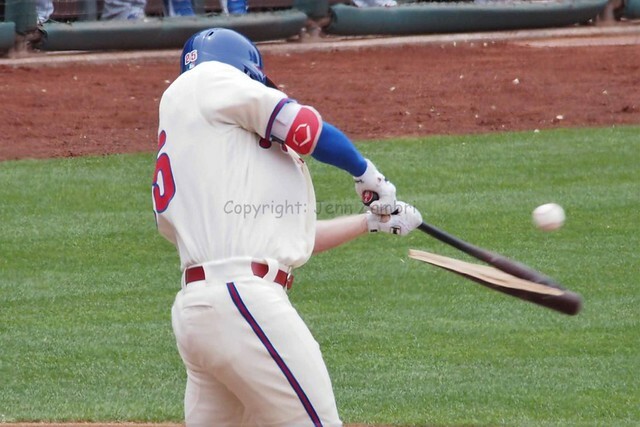 As I stated in my last post, I felt Sandberg had lost the clubhouse and was not long for this position. Apparently, he came to same conclusion. And while I do think his departure is for the best, I do not agree with just quitting. That is just my personal feeling; I think he should have stuck it out until he was fired. If he couldn’t handle the pressure, he was clearly not the man for the job, which is unfortunate. I cannot imagine Sandberg getting another job in the majors, especially as a manager, after bailing on his team. So that is sad for him as well. Here is the Photo Album from both games of the Doubleheader…enjoy!